The New Hampton baseball team rode their 13-game winning streak into Friday night’s game at Crestwood. This game would be tied at two after four innings of play, but the Chickasaws would strike for two runs in the fifth and would not let go of the lead. New Hampton would win this match up with Cresco, 5-3. Ryan Gorman and Zach Wemark each had two hits and an RBI in the game while Carter Stochl would come away with the win on the mound. The Chickasaws improve to 22-1 on the season and will travel to Waverly for a conference doubleheader Tuesday night. The Chickasaw’s softball team jammed in four games this weekend at the Alburnett Tournament. The first game was against Alburnett. New Hampton would get one run in the second and third innings and would hold that lead through five frames. Alburnett would come to life, then, as they would rally for one run in the sixth, seventh, and eighth innings to come away with the walk-off win, 3-2. Lexi Rasmussen and Kerigan Tenge each had an RBI in the game. New Hampton’s second game of the weekend came against Center Point-Urbana. The Chickasaws would fall behind early in this game as they allowed two runs in the first and second innings, three in the third, and four in the fourth. The final score was 11-4 in favor of CPU. Kallie Olson had the only RBIs in the game for New Hampton. Kayla Gilbert would take the loss on the mound. The Chickasaws would struggle on Saturday as they faced off against Mid-Prairie, Wellman first. New Hampton couldn’t get the bats going as they would drop this game, 3-2. Cassidy Rourke, Mid-Prairie’s starting pitcher, threw all seven innings while only allowing two runs. New Hampton’s final game of the weekend was a win over Cedar Rapids Washington, and with that win, they avoid a sweep on the weekend. The Chickasaws fall to 19-12 on the season and will travel west for a matchup with Charles City on the road tonight. The Turkey Valley softball team traveled to Decorah on Saturday for a quick, two game tournament. The Trojans would face off against Decorah first and it would be a rough ride for the visiting team. Turkey Valley would take the lead in the third with a pair of runs, but that would evaporate as Decorah struck for five runs in the fourth and 12 in the fifth. This game would only go five innings as the final score was, 18-2. Jaedyn Winter and Morgen Kuennen scored the only runs of the game for the Troajans while Ashton Kout would take the loss. Their second game on Saturday was more of the same as they would get ten run-ruled again, capped off by a six run fourth inning. 12-0 was the final in this game as Kuennen and Kassidy Reicks had the only two hits in the game for Turkey Valley. The Trojans remain winless on the season and will travel to Kee, Lansing tonight for a doubleheader. The Sumner-Fredericksburg baseball team came into Friday night winless, but that would change when Grundy Center came to town. Each team would manage to get two runs through five innings, but Grundy took the lead in the top of the sixth with one run coming around to score. The Cougars would respond immediately in the bottom of the inning by driving home three runs to take the lead. The Cougars would get the final three outs of the game and get their first win of the season, 5-3. Sam Fox collected two hits, two runs scored, and four stolen bases in the game. Brett Meyer and Kolby Rich also collected two hits a piece. Sumner improves to 1-20 on the season and will host Hudson for two games tonight. The Cougar’s softball team also hosted Grundy Center on Friday night. Sumner would strike for early runs as they would lead 8-3 going into the sixth inning. Grundy would try to mount a comeback, but they would fall short as the Cougars would win, 8-5. Jaydlin Seehase had two hits and three RBIs in the game while Jenna Pagel would drive in two base runners. Mariah Nuss would be the winning pitcher. Kaylyn Hoth would also pitch in the game as Sumner improves to 11-14 on the season. The Cougars next game is against Hudson tonight. The South Winneshiek baseball team had a game with Columbus Catholic on Saturday. The Warriors would be swinging a hot bat early as they scored five runs in the first, one in the second, three in the third, and five in the fourth. Columbus would only be able to scratch four runs onto the scoreboard as South Winneshiek would win, 14-4. Hunter Todd had a home run and two RBIs in the game while Joel Hanson would cross home plate three times. Matthew Holthaus would get the win as the Warriors improve to 15-11 on the season. South Winneshiek will travel to Postville tonight for a doubleheader. Other games on the schedule tonight include the Nashua Plainfield Husky baseball team who will be at North Butler in Top of Iowa Conference action. Nashua baseball is winless this year with 14 losses and they are 0-13 in conference play while North Butler comes in at 5-9 and 4-8. First pitch is scheduled for 7:30. 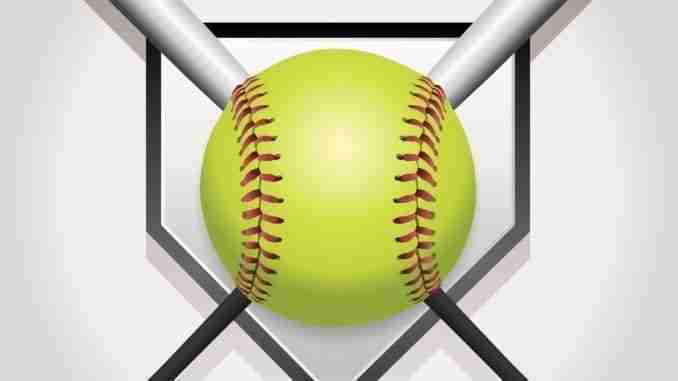 The Nashua-Plainfield Husky softball team will be looking for their first win tonight as they will travel to North Butler for a Top of Iowa Conference tilt. The Huskies are 0-15 overall and 0-12 in the Top of Iowa Conference while North Butler is 17-4 and 10-0. North Butler will also take on Mason City Newman tonight. First pitch of the Nashua-North Butler game will be at 6 pm.